On sale! 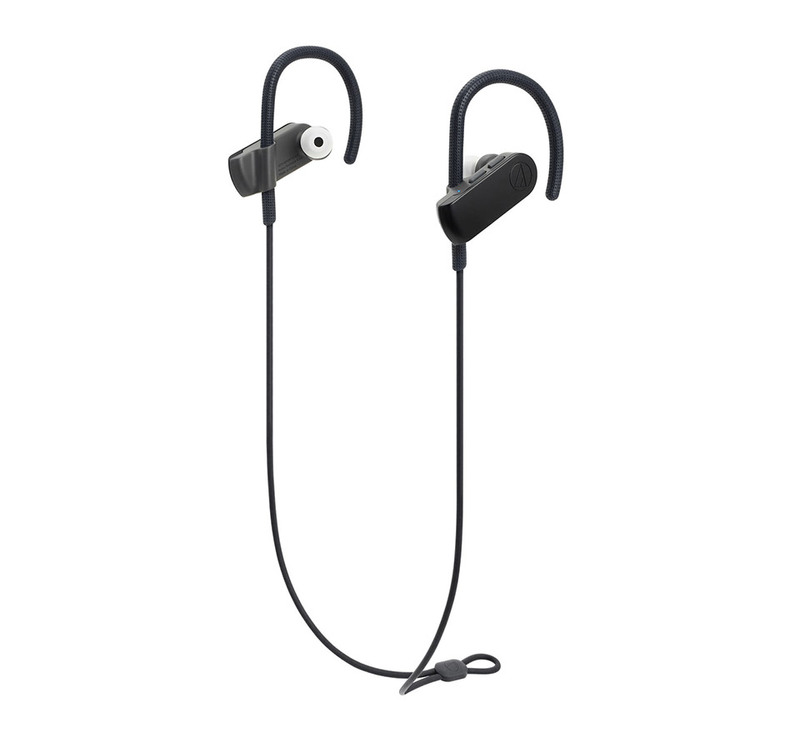 (normally $129) The ATH-SPORT50BT wireless in-ear headphones pair great sound with great fit and freedom of movement to fuel your workout wherever it takes you. 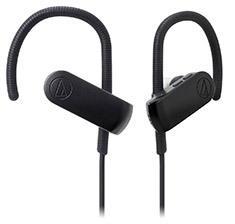 The comfortable ear-hook design keeps the headphones securely in place so the powerful 9 mm drivers can deliver all the crystal-clear audio received through the Bluetooth wireless signal. And with a mic and controls conveniently built into the left housing, it’s easy to handle calls and control your music on the run. The fit and sound characteristics can be adjusted further through the interchange of two types of included eartips: standard silicone eartips (XS/S/M/L) that provide outstanding sound isolation and ridged eartips (S/M/L) that allow some ambient noise to seep in for safer use outdoors. The internal lithium polymer rechargeable battery delivers six hours of continuous use and recharges easily with the included 30 cm USB charging cable. The headphones are also IPX5 Waterproof Certified, so you can wash them off when your workout is through.